“Rosemary, that’s for remembrance,” Shakespeare wrote more than 400 years ago. Those words ring true today. Rosemary, a fragrant herb related to mint that you can grow in your garden or buy at your local grocery store, has been the talk of the health world ever since researchers at the University of California, San Diego, announced new findings. They identified a small fishing village south of Naples inside the Cilento National Park that has an unusual concentration of citizens over the age of 100, with very low rates of Alzheimer’s and heart disease. Many research studies are now under way to identify why these people live so long and so well. All arteries are lined with a single cell layer called your endothelium that covers eight tennis courts’ worth of surface area. 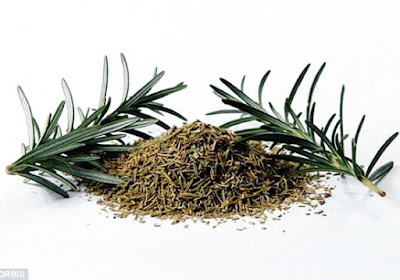 In a 2011 study, healthy volunteers eating rosemary extracts showed healthier arteries after three weeks. Shakespeare predicted it years ago—and now science has shown that measures of memory can be enhanced with rosemary. Studies of rosemary or its extracts on the growth of cancers such as colon, pancreatic, and ovarian show it may be beneficial. Rosemary has powerful anti-inflammatory effects, and preliminary data indicate it may have a role in natural therapy for arthritis. Rosemary may activate a pathway called AMP kinase, the same pathway triggered by the drug metformin and apple cider vinegar. As such, improvements in measures of blood sugar and cholesterol may follow. In a study randomising 50 men to rosemary oil for hair loss compared to a prescription drug used for that condition, a similar increase in hair count was seen in both groups. The bottom line: The key lessons of Cilento National Park, the home of the Mediterranean diet, are to eat a locally sourced plant-based diet low in fats (two tablespoons a day of freshly pressed olive oil is typical, without butter or animal fats), complemented by low-alcohol red wine and whole-grain breads made at home, surrounded by friends and family. The long-living people of Acciaroli also remind us that herbs and spices, preferably homegrown or sourced organic in markets, are some of the most concentrated forms of life-sustaining phytonutrients.